Angela Thelen Interior Design specializes in working with clients to make their remodeling ideas come to life. 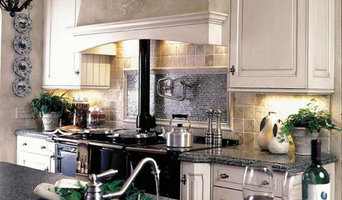 We specialize in kitchen, bath & cabinetry design solutions. As an award winning kitchen and bath designer, my job is as much about people and relationships as it is about creating stunning spaces. I combine my design expertise, well-honed listening and communication skills, attention to detail and a calm professional demeanor, to provide an ultimate experience and product for the client. Each timeless design is functional and individually suited to meet their lifestyle and needs. Highly awarded Kitchen & Bathroom designer with 23 years experience and a degree in Interior Design. *Authorized Dura Supreme Cabinetry Dealer* Kitchens By Design offers complete design and remodeling services for homeowners, contractors and designers. We work with homeowners from start to finish, providing design services, project management, contractor and subcontractor services, licensing and permits. Free Design Consultation! We build a working relationship before we build anything else. We earn all of our business through establishing trust and demonstrating our creativity and capability before you spend a dime. If you are looking for a kitchen or bath design that uniquely fits your busy lifestyle, you've come to the right place. fco. 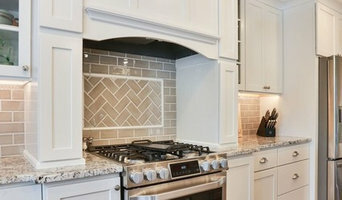 martin designs has been specializing in kitchen & bath remodeling for over 18 years. With our collaborative design approach we help you through the entire process, from design to completion. We make the remodeling experience comfortable within a budget you can live with. At Kitchens of Stillwater / Kitchens of Woodbury we have created a business that caters to your desires, your needs, your preferences. We listened over the years when you told us you wanted value, an enjoyable experience, and clear and open communication. We built our business around your desires. It’s what has allowed us to become the #1 kitchen dealer in the East metro. So thank you in advance, if you decide to chose us – we look forward to helping you in your quest to build something beautiful. When you need your teeth cleaned or fixed, you don’t find someone who knows about medicine in general and ask them if they can also work on teeth, you want a dentist! People often make the mistake of having a company that knows how to do many things, try to create or remodel a kitchen for them. It often ends in complications (a nice way of saying more money and aggravation). We SPECIALIZE in kitchens, not general remodeling (we also do bathrooms- but our specialty is kitchens). We’ve done hundreds of kitchens in the Metro area (maybe over a thousand now?). Trust us with the most important space in your home. We know kitchens. I offer design services for the entire home with a specialty in kitchen and bath design, space planning, cabinetry design and materials selections. I strive to find balance between beauty and function in every space I design while incorporating unexpected details that set your kitchen or bath apart from the rest. Whether you need a design consultation, a full set of plans or beginning to end project planning and construction, I will work closely with you to emphasize your personal style and create inspired spaces that will exceed your expectations. I have been recognized locally and nationally for my work. 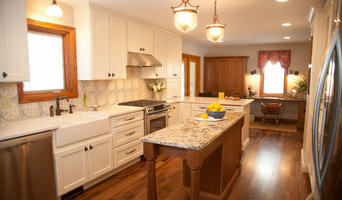 For over 40 years we have Designed & Renovated Kitchens in the Twin Cities and beyond with beautiful cabinetry, countertops and appliances that complement both the existing home and it's homeowners wishes. We also provide custom designed Cabinetry for new custom built homes. We collaborate with Architects, Designers and Builder to achieve "one of a kind" cabinetry solutions. Stop into our Showroom to discuss your project with our team. Every home has a story to tell. The Bluestem design and build process respects the story of your family, your home and your neighborhood while embracing the unique dreams you hold for the space you share. When we are done, we want you to feel that your home fits together perfectly – and tells a tale of belonging, comfort and grace. Bluestem Construction has over 18 years of delivering high quality, high value projects. We are a dedicated, motivated team. We are passionate about creating your Personalized Remodeling Solution and giving you a great experience from start to finish. Bluestem has been recognized as an industry leader with awards for excellence – including a 2016 National Contractor of the Year (COTY) award from NARI. As your Personalized Remodeling Specialists, a big part of our job is providing you with good information to make the best decisions. That may be design choices, technical options, or costs. From your first contact with us, we will listen to your needs and share with you valuable information. Your dedicated design specialist will guide you through our full-service design-to-construction process and will maintain clear and consistent communication with you each step of the way. We are fully committed to listening to your direction and ideas. it’s your home, after all! STYLE & SUBSTANCE: Rebecca Ryan Design is a true custom interior design firm that changes peoples lives. I recognize and honor the uniqueness of every client and every home. My flexible, full service design and product offering allows me to create amazing interiors that optimize space, maximize budget and reflect the best of my clients. So much more than just making homes look great, I utilize my technical construction knowledge to create plans that are practical, safe and affordable to build. In addition to complete, full service design, I offer on site project management, ensuring that your projects are executed as planned. As an award-winning kitchen and bath designer, I not only incorporate your individual style and ideas, but create solutions that will surprise, delight and exceed your expectations. Being a lifelong cook, I enjoy the challenge of making a beautiful and functional kitchen, using creative space planning, technical knowledge and artful cabinetry design. I bring that same expertise to space and cabinetry design throughout the home. I partner with general contractors whom I’ve worked with in the past who are organized, respectful and do quality work. Whenever possible, I provide the cabinetry and countertops to insure quality workmanship and design integrity. Or if you have a contractor you trust and like working with, I can provide design only or meet with them as needed during construction. Either way, my clients appreciate the care I give to even the smallest detail. Achieving flawlessly functional and attractive kitchen and bath design in Vadnais Heights, MN requires a professional who specializes in these spaces. Not only do these rooms see the most action of the house, but they require the most planning and attention to detail. When designing them, a bath and kitchen designer must keep a strong focus on the homeowner's wants and needs while also considering things like potential resale value. Read the tips below to learn how to choose the perfect Vadnais Heights kitchen and bathroom design professional for your home project. What does a Vadnais Heights kitchen designer or bathroom designer do? A kitchen and bath design professional in Vadnais Heights, MN knows to take all of these crucial points into consideration and can help plan the layout, materials and overall look and feel of either of these rooms in your home. Kitchen designers, as well as bathroom designers, are constantly staying on top of trends in the ever-changing industry. The designer also knows the best layout for your room, and can configure the layout for optimal functionality and utilization of the space. In the kitchen the refrigerator, stove and sink should be laid out in relation to one another, and it should be seamless and easy to move from one to the other. A Vadnais Heights kitchen and bath designer will know how to work with a contractor and architect to plan the flow of the room to work best for your needs. Here are some related professionals and vendors to complement the work of kitchen & bath designers: Kitchen & Bath Fixtures, Appliances, Tile, Stone & Countertops, Cabinets & Cabinetry, Woodworkers & Carpenters. Before you talk to bath and kitchen designers in Vadnais Heights, MN, consider how you will use the room. For your bathroom, is it necessary to have a bathtub for bathing kids or pets, or would a shower suffice? Perhaps all you need is a half bath for downstairs or a smaller guest bath for occasional use. Similarly, for kitchen renovations consider your cooking habits. Do you eat out every night but need a space to entertain in? If so, a smaller kitchen might be fine for you, with a space devoted to wine storage or a bar, whereas others might prefer a bigger stove or extra cabinets. When interviewing Vadnais Heights kitchen and bath designers, make sure to share these habits so they can best fit the room to suit your needs. 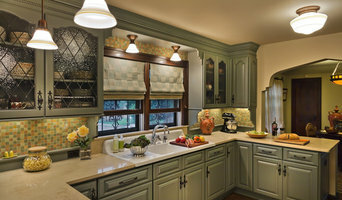 Find a Vadnais Heights kitchen designer or bathroom designer on Houzz. Narrow your search in the Professionals section of the website to Vadnais Heights, MN kitchen and bath designers. You can also look through photos in Vadnais Heights, MN to find a kitchen or bathroom you like, then contact the professional who designed it.